The anticipation of a new season never gets old, even though I have now been through over 30 years of them. When I learned to ski in 1985, to tell you the truth, I didn’t have any idea what I was getting myself into. As I look back, other than spending time with my family, it is where I have probably enjoyed myself the most. You see I still feel there is nothing better than to be heading downhill on my snowboard, just me and the snow (and maybe a few hundred of my unknown friends on the same trail). In this case, fun loves company. Some snow lovers complain about the lift ride back up for another trip down a selected trail, but this guy, I use that time just to look around and be thankful for the moment I am in. It’s a few minutes, I can look around at the beauty Mother Nature provides us during the late fall months, then throughout the winter months. 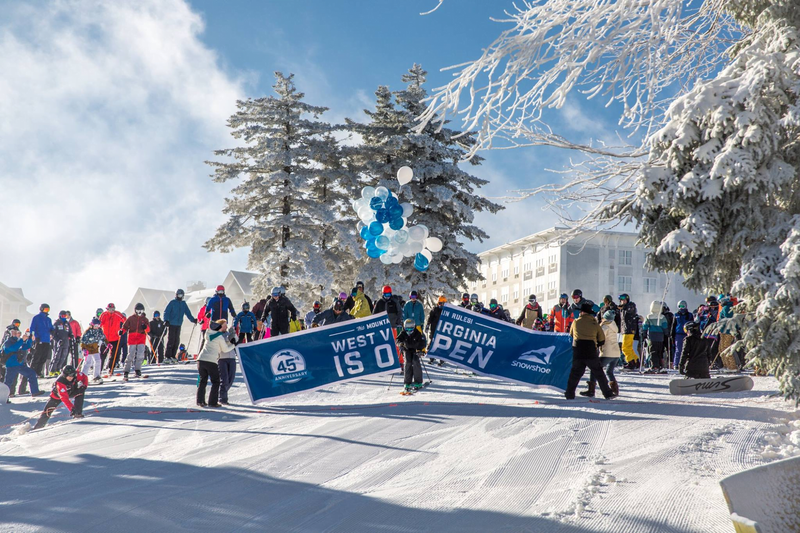 The 2018-2019 ski season is here and has gotten underway with a considerable amount of momentum. 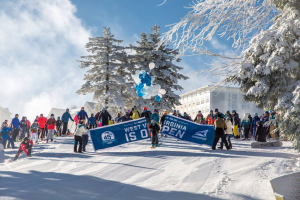 Skiing and snowboarding got underway at Sugar, Appalachian and Cataloochee Ski Resorts earlier this month and the industry hasn’t looked back. In West Virginia, Snowshoe Mountain dropped the ropes the day before Thanksgiving (a tradition like none other, I think I’ve heard that somewhere) and Beech opened the day after turkey day. So, with still a week to go in November, there’s a bunch of terrain for skiers and snowboarders out there to have fun on right now. If you toss in Canaan Valley Resort opening up their Tubing Hill for Thanksgiving and White Grass Touring Center offering cross-country skiing and snowshoeing, that’s a whole bunch of momentum for the sport right now. So why does the industry have this much excitement right now, even though the temperatures around the metro areas have only, for the most part, just touched the freezing mark, just a couple of times. My friends it’s all about elevation and the southeast ski industry’s willingness to belly up to the snowmaking bar. 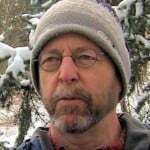 I know some of you out there probably don’t think much when you read about each mountain’s yearly improvements and there’s always a line in there about “snowmaking system” upgrades. It’s probably one of those things you just pushed aside, looking more for something like new lifts or new slopes. Well I was quoted a number of times on West Virginia’s opening day this year (full disclosure, I also serve as Executive Director of the West Virginia Ski Areas Association), that there wouldn’t be any skiing, snowboarding or snowtubing in the state if it wasn’t for snowmaking, plain and simple. If you think there is enough natural snowfall every winter to sustain the multi-million dollar industry, well I might have some beach front property to sell you in the Antarctica. I know for a fact that, for the most part, each resort, when possible, throws over a million dollars every year in the snowmaking pot. Snowmaking has come a long way in recent years and the resorts that stay up with the advanced technology will continue to provide a sustained product for every skier, snowboarder and snowtuber to enjoy. I know, you have heard all this before and to tell you the truth, there’s a darn good chance you are going to probably hear it again. You have been forewarned. My wife Angie and my son Christian, smile every time I get interviewed and remind the uneducated reporter that what is produced by the region’s snowmakers is not artificial snow, but real manmade snow, using real cold water and real cold air, producing real manmade snow. Nothing artificial about that product. Just look how fast the resorts that are now open, were able to do so, with probably less snowmaking hours than in the past. This gets me back to the improved technology of the process. Resorts in the region have invested in low energy, high efficiency guns, that flat out can make some snow when temperatures are in the 20’s and not have to be so dependent on temperatures in the teens or single digits. Don’t get me wrong, these new guns will rock in those temperatures, but early in the season, when the temperatures are in the 20’s, which has been the case this season, you can now see the positive results of all of the resort’s investments in snowmaking. 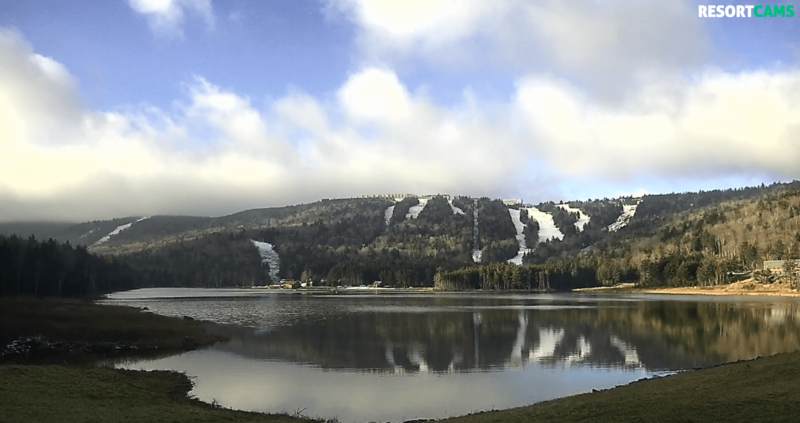 We are now seeing more and more resorts opening up with quality conditions, not just strips of snow between the tree lines. There is an industry term for that, but for the time being, I’ll let that one go. 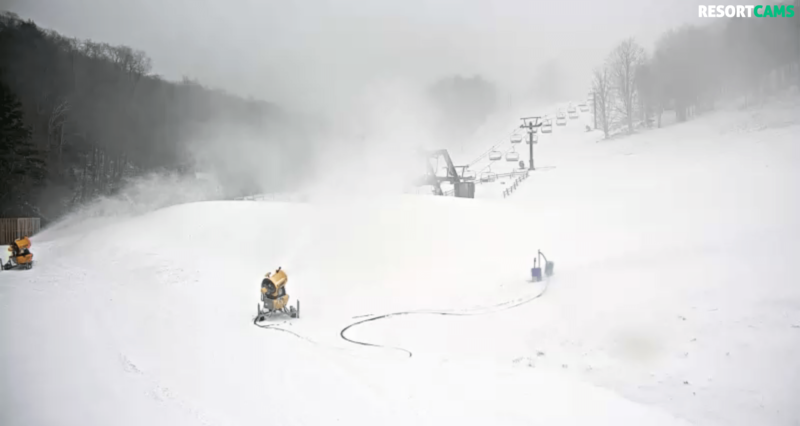 From the webcams I follow on skisoutheast.com, the coverage has been excellent for those first turns of the season. I saw some video of the first rope drop at Snowshoe Mountain and there were smiles on a lot of faces at the top of the slope. I really liked the picture from Appalachian Mountain of the young folks carrying the first chair banner. That’s what it is all about folks, having fun and thank goodness the management teams at all of the resorts continue to open their wallets to improve their snowmaking systems, to make sure that product is reliable for everyone to enjoy. 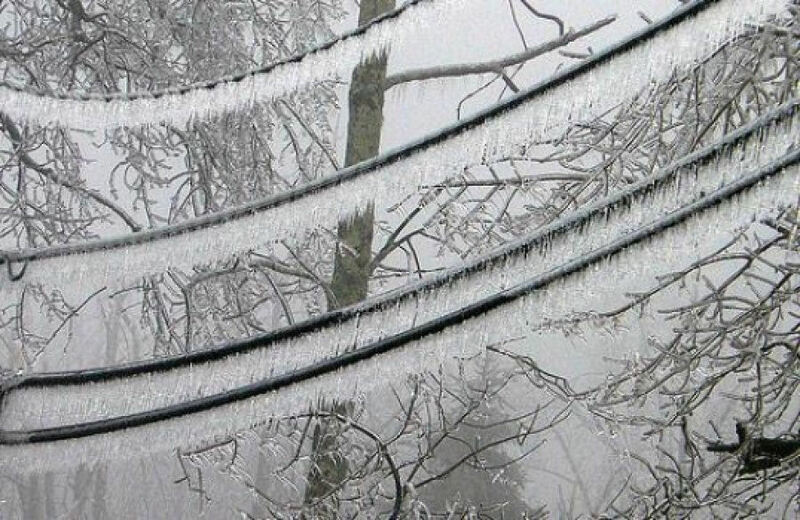 Icy power lines and trees are not good for keeping the power on! In case you missed Mike’s mention of the following item on a recent First Trax column, my hat goes off to the patience of the Winterplace Ski Resort management staff. You see they missed about 36 hours of snowmaking conditions because a recent ice storm that hit southern West Virginia knocked out the resort’s power and they were pretty much dead in the water. 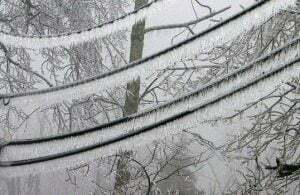 How would you like to have been the Winterplace folks, knowing they have spent over a million dollars for new snowmaking equipment and because of trees on the lines, they couldn’t turn them on? Believe me when I say, the power company got an earful. Well it’s here and the snow is out there. Time to strap them on, punch the clock and have some fun. That’s it for this week, as has been the case for the previous 13 seasons, there’s more to come as the season continues. Just remember whether it be cold or whether it be hot, we’ll weather the weather, whatever the weather will be. Think about it! See you on the slopes.